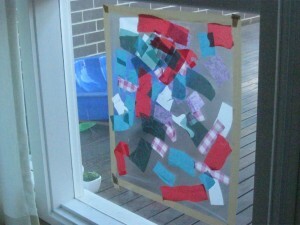 Sticky window is the activity that has been occupying my 20 month old this afternoon! Its lots of fun (for me too). 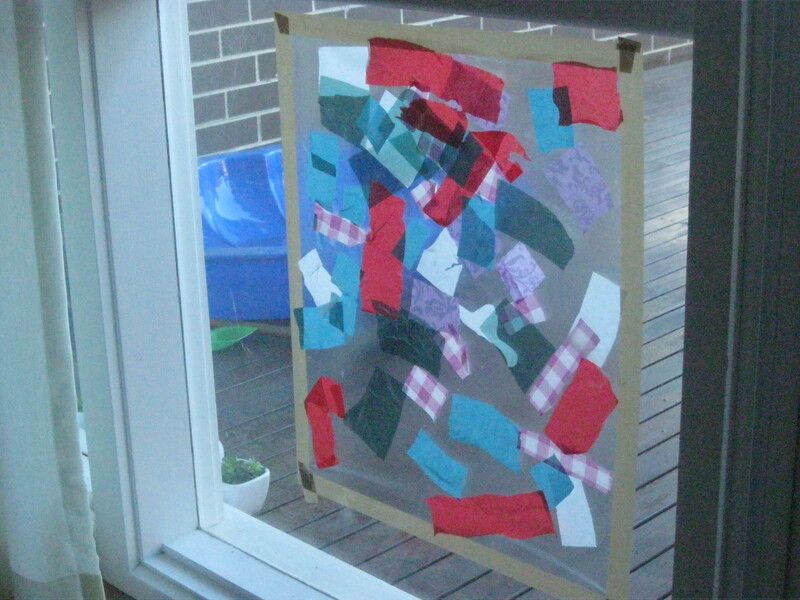 It simply a sheet of contact taped to a window (sticky side facing out) and a box of cut up bits of paper. He has been quite enjoying sticking all the colors on. It is amazing how simply things (and cheap) can sometimes be the most fun!